The race for your cloud dollar just heated up. Tech giant Oracle is jumping into the cloud sector in a very big way. Larry Ellison, executive chairman of the board and CTO, this week announced a beefed up Oracle Cloud Platform that aims to compete head-to-head with Amazon Web Services, Google and Microsoft. The Oracle Cloud Platform is an integrated suite of services designed to help developers, IT pros, business users and analysts build, extend and integrate cloud apps. Larry Ellison announced 24 new cloud services, including Oracle Database Cloud — Exadata, Oracle Archive Storage Cloud, Oracle Big Data Cloud, Oracle Integration Cloud, Oracle Mobile Cloud, and Oracle Process Cloud. 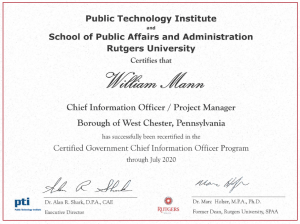 If there was any doubt that the cloud was not here to stay here is yet another example of why cloud services are the future of how we will deal with document management, messaging services and collaboration efforts. As an example of what I am suggesting just take a look at Oracle Cloud Platform’s specific growth. Their platform is powering some of the world’s biggest brands, with over 1,800 customers including Verizon Wireless, T-Mobile, the Washington Nationals, Big Fish Games, General Motors among many others. While Amazon, Google, Microsoft Azure and the other providers have largely been providing commodity-like compute services it appears that Oracle Cloud is branding itself as a fully integrated platform to run Oracle apps in particular. It is becoming not a decision for most organizations if they should go to the cloud, but which cloud to embrace. 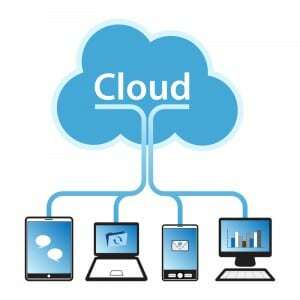 Cloud services are becoming an increasingly accepted, important and even normal way of managing files. To demonstrate this you just need to look at the recent revenue report from Microsoft. Microsoft’s earnings report for the third quarter of its fiscal year shows that its commercial cloud business, which saw a 106 percent growth year-over-year, is currently on track to reach $6.3 billion in annual revenue. These are huge numbers that demonstrate the emergence of cloud services which are fast becoming a best practice for consumers and companies alike. Microsoft’s cloud business includes its Office 365 software suite, as well as Dynamics CRM and Azure. Microsoft’s PaaS (platform-as-a-service) and IaaS (infrastructure as-a-service) solutions are obviously growing in popularity. These two services are the backbone of Microsoft’s cloud-first strategy. Office 365 currently has nearly 50 million monthly active users among its business subscribers, while Azure has been adopted by more than 5 million business users and is being used to host nearly a half-million Web sites in addition to an estimated 40,000 companies with 4.4 million users relying on Microsoft’s Dynamics CRM. The Cloud is becoming an increasingly important part of the overall IT industry and it’s acceptance as a real possible strategy for large and small organizations is no longer a theory. Why is this? In simplest terms it is the ability to provide the best in technology services while reducing infrastructure cost, mobilizing the workforce along with offering top level security which is at the heart of this emerging cloud adoption. Microsoft’s particular strength has been in helping later-adopting companies make the transition to cloud-based services, due in large part to their strong and long lasting brand recognition. In addition their services are cross-platform, meaning that regardless of the operating systems, mobile devices and computers you may use, their services will be available there. One other important factor is that many of Microsoft’s cloud based services such as Office 365 are built on long tested and tried software packages such as Microsoft Office and Outlook. The reason that Microsoft’s earning are so strong is that In the end there is comfort in Microsoft’s cloud. Other large and trusted technology companies such as Amazon and Google are also succeeding in amazing ways in respect to cloud adoption. Again this is because the “cloud” adoption we are going through today is… new and we trust that these companies know what they are doing, have excellent and large technology infrastructures and will be around for a very long time. All of these factors have many organizations and consumers turning to them when dipping their toes into the cloud…. and the future. just wrote last week that the cloud is here to stay and it is benefiting everyone with lower cost and better services then ever before. To prove this point even more clearly, Amazon last week laid down another gauntlet. Amazon is now offering unlimited cloud storage for individuals for $5 a month. Amazon’s Unlimited Everything Plan allows users to store an infinite number of photos, videos, files, documents, movies and music in its Cloud Drive. The site also announced a separate $12 per year plan for unlimited photos. People who subscribe to Amazon Prime already get unlimited capacity for photos. Both the Unlimited Everything Plan and the Photos Plan have three-month free trial periods. Online storage and file sharing service providers, such as Google Drive, Dropbox, and iCloud, have been engaged in a pricing war over the past year. Last fall, Dropbox dropped its Pro plan pricing for individuals to $9.99 per month for 1TB of capacity. Dropbox offers 2GB of capacity for free. Dropbox also offers members 500MB of storage each time they get a friend to sign up; there’s a 16GB max on referrals, though. With Dropbox Pro, members can get 1GB instead of 500MB each time they refer someone. Google Drive offers 15GB of capacity for free and charges $1.99 per month for 100GB and $9.99 per month for 1TB. Apple’s iCloud offers 5GB of capacity for free, and charges 99 cents per month for 20GB, $3.99 per month for 200GB and $9.99 per month for 1TB. 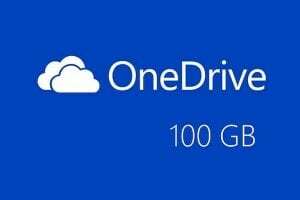 Microsoft’s OneDrive offers 15GB of capacity for free, and charges $1.99 per month for 100GB, $3.99 per month for 200GB and $6.99 per month for 1TB. While Amazon offers unlimited file size uploads for desktop users, it limits file sizes to 2GB for mobile devices. If you still believe that the cloud is not relevant all you need to do is look at all, and I mean all of the big technology companies out there. Each and everyone is moving in that direction and many are actually using cloud services as a lure to attract consumers to their other services. What this means is that cloud storage is cheaper and better then ever before. Just this week Amazon has enhanced their cloud services and reduced cost in an effort to compete with Google and Microsoft. So getting back to Amazon. Earlier Amazon had given a boost to its Prime members when it launched a free, unlimited photo storage for them on Cloud Drive. This week, the company announced it is expanding that service as a paid offering to cover other types of content, and to users outside of its loyalty program (non-Amazon Prime members). Unlimited Cloud Storage will let users get either unlimited photo storage or “unlimited everything” — covering all kinds of media from videos and music through to PDF documents — respectively for $11.99 or $59.99 per year. There is a free three month trial period for anyone interested in the service. As I said at the start of this article the idea here is to tap into the average consumer who has started to reach a point with the amount of digital media he or she now owns and the struggle to organize, secure and store all of that data. I still believe Office 365 Home is a much better deal. For $99.99/year you get unlimited cloud storage with OneDrive (which you can also use for music and photos) in addition to the latest version of Microsoft Office on up to 5 computers/laptops and tablets. When it comes to beating cloud storage rival DropBox, Microsoft is obviously practicing a two tiered strategy of working with the rival to improve cross-service integration, while at the same time looking to outpace it with aggressive promotions. As the latest proof of this strategy demonstrates Microsoft is offering to boost usage of its cloud storage with a giveaway of 100 gigabytes of cloud storage to any user with a Dropbox account. 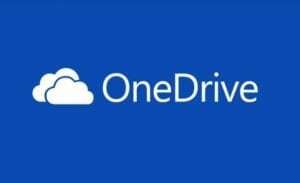 The promotion appears to apply to both new users and users with existing OneDrive accounts. You can grab the extra storage go here. With Windows 10 tightly integrating OneDrive into its core apps, including the new Music and Photos hubs, the cloud storage utility will play an increasingly important role. Cloud storage is becoming increasingly popular. This is the result of the falling cost of cloud storage coupled with the ability to access data from anywhere and on any device. 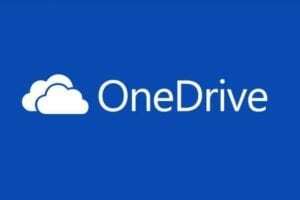 Microsoft’s OneDrive is my cloud storage service of choice and without a doubt one of the better cloud platforms out there, particularly when it comes to value for money. All users who sign up to One Drive now get 15GB of free storage, and further storage can be inexpensively added on an annual subscription basis. But if you get an Office 365 subscription – from as little as $69.99 a year – you’ll get unlimited One Drive storage included in the price. Given that you can now pick up a free Office 365 sub with many ultra-affordable Windows tablets and notebooks these days, Microsoft’s cloud solution clearly offers great value. There is one… concern with all of this. What happens when your OneDrive subscription runs out? Does Microsoft instantly delete all of your files? Do you have to pay more money to be able to access your data? 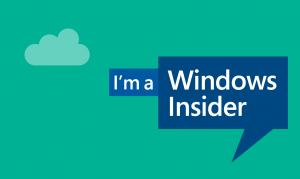 Recently contacted by TechRadar Microsoft explained that after your subscription expires, “you’ll still be able to view, share and download files, but you won’t be able to upload files until you buy more storage”. I would guess that you would not be able to share new versions of existing files once your account expires, but as Microsoft says, you will still be able to access all of your files on OneDrive even after you stop paying for your storage subscription, which of course means that you can later download your files and delete them from OneDrive if you truly want to cancel the cloud service. This is all good news for users fearful of signing up for a cloud storage service and although this report only addresses Microsoft’s OneDrive I am confident that the majority of cloud storage services are following this same business model. Remember the data is yours, the cloud storage service is simply a hard drive in the sky. Among the challenges to cloud service providers is “up time”. Cloud services must compete with traditional on-premises services if they want to be seriously considered for enterprise and business customers. This in addition to “security” are the two primary challenges faced by cloud service providers today. Although everyone has experienced their own organization’s network, or elements of their network being down from time to time, the outrage is confined to their individual organization and it’s employees. However when “cloud providers” like Microosft, Google, Amazon or IBM have outages or service degradation the impact is far wider and therefore much more critical. These concerns are the primary reasons many information technology professionals will give you today for avoiding cloud services on the enterprise level. However I suggest that these occurrences, although they do occur from time to time are less frequent when compared to many on-premise services. The difference here is these large outages are of course publicized on a much larger scale due to the larger customer impact. Do not misunderstand me, “down time” should not be easily accepted and when they occur the customers should hold their cloud providers accountable. In many instances the cloud providers offer refunds or credit for any downtime experienced. Just as important as this cloud provides need to continue improving their outreach with meaningful information to their customers during service issues. My local organization has been in Microsoft’s “cloud” for email services since 2011 and total down time in 3 years since then has been less then a dozen hours. The majority of the hours “down” impacted one element of the email service. For example email would not flow to the Outlook client however it continued working normally through OWA (outlook web access) and mobile devices. Or email would not flow to mobile devices but arrived normally elsewhere. These types of “outages” are really “service depredations” therefore their limit is minimized. Also during these service issues the organization’s information technology staff is not impacted as the staff tries to determine “what the heck is wrong with the service”. All of this leads me to this week’s Microsoft Azure outage. Earlier this week there reports of partial performance degradation incidents with traffic manager and multiple region service interruptions for Azure services. Microsoft Azure acknowledged quickly having problems on its Twitter account at 6:30 pm on Tuesday. The Twitter account reported the outage was resolved by 10:56 pm, yet its status page continued to report problems hours after. Thousands of sites using Azure as a web host were down for hours including Microsoft’s own msn.com and Windows Store. There was also a storage outage in Western Europe. Azure had other outages as well earlier this year including several in August which coincided with the release of new Office 365 features. Azure was also experiencing an outage when promoting the online gaming features of Xbox One launched in November of last year. It’s important for cloud providers hoping to survive in the increasingly competitive cloud space to compete on service. Outages may be inevitable but certainly don’t help the case for customers looking for the most reliable service provider. Considering the complexity of networking services and all that we have come to expect from technology in general, service related issues will continue to occur from time to time. To think otherwise if foolish. Understanding this organizations should work to find the right balance of “cloud” and on “on-premises” services. In the latest example of the major drop in the cost of cloud storage, Dropbox who has been very reluctant to reduce their pricing has succumbed to the market and also announced price reductions. The cloud storage price war has been going on for at least a year know but Dropbox has been slow to compete with the likes of Microsoft, Google, Amazon and Apple. For example Microsoft gives away free 15GB of storage via OneDrive and gives 1TB of storage for subscribers of Office 365 which is $6.99 a month. Google has also slashed there prices but there was Dropbox refusing to budge. Until now. Today Dropbox announced that Dropbox Pro users will now get 1TB of storage space for $9.99 month. This is a dramatic increase in storage considering that the same price got you just 100GB yesterday. Users previously had to spend $500 a year just to get 500GB of storage space. Existing Dropbox Pro users do not need to do anything to receive the upgraded storage. It will simply appear in your account as additional storage. In addition to 1TB of storage, Dropbox Pro is offering new sharing controls including passwords for shared links, view-only permissions for shared folders, the ability to set expiration dates for shared links, and a remote wipe feature to erase Dropbox files on a stolen device while keeping the “cloud” copy backed up for safe keeping. The cloud storage wars are benefiting consumers in a big way as cloud providers look to compete and lore customers into their bigger echo systems. 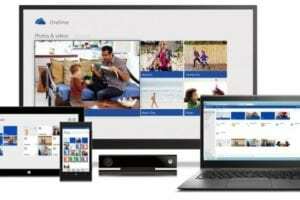 Microsoft keeps working to improve their cloud storage service, OneDrive. If you have not checked OneDrive out the time may be right, even if you are an iPhone user. This is because yesterday Microsoft updated their OneDrive iOS app to support a more seamless method of integration with their Office iPad apps. The app will now instantly open Word, Excel or PowerPoint from within OneDrive (which was not happening) if you tap on an Office document provided of course if you have the Office iPad apps installed. Previously OneDrive would simply display the document (.doc, .xls, .ppt, etc) using the iOS’ preview, which unfortunately struggles to properly format the more complex Office documents. The feature can be turned off by going to the OneDrive settings and toggling the ‘Use Office Apps’ switch. The OneDrive app’s Camera Roll upload feature was also improved to support background uploads, allowing the app to contine upload images when you switch to another app. The app update also included various bug fixes, most notably making uploads more reliable. In other news that I did cover earlier this week, Microsoft also announced that they would soon boost the storage space for Office365 users to 1TB per person on a family plan and 1TB per subscription for those on personal or university plans. For those without a Office365 subscription, the free storage available also got a boost to 15 GB (up from 7 GB) and standalone OneDrive storage plans were also reduced. 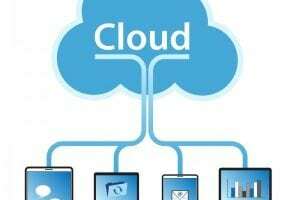 Cloud storage cost is falling like a rock and Microsoft like Google is beginning to offer excellent cloud storage plans in order to bring consumers into the ecosystems. Apparently Microsoft’s Office 365 was not working for thousands of businesses across the United States and Outlook was down for many people and organizations today. Confirmation even arrived in the form of a tweet on the official Office 365 Twitter account. Email service is so embedded into our every lives now that it impacts things we first do not relate to “email”. For me it was “scanning to email” not working at our office today. We have 6 individual devices that can provide this service and one by one each was reported “down” to me in the morning. As I checked services like, the network, Websense, firewalls and the devices themselves it was only after eliminating each one did I turn to email. After all I was receiving email but when I looked into it a little closer email was sluggish and some messages were not arriving to their destination. I called Microsoft and was greeted with a message that basically said, “we know email service has been degraded and our engineers have no further information, please stand-by and if you want a text message update please provide your phone number”. I of course provided my phone number and let everyone now that it was “not our problem”. The problem with cloud services is just that. It is a service and when things go wrong you simply need to kick back, advise the affected users and… wait. This is a very difficult for technology staffers as they want to dig in and figure the problem out. Anyway as the late afternoon arrived I could see Microsoft was getting their act together and email started flowing more normally and even the majority of “scan to email” services had been restored. Then at about 6:15pm EST I received the following text message as promised. 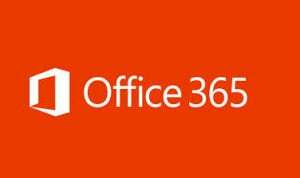 The Office 365 Service issue has been resolved. Refer to the Admin Center for further service status. Thank you for your patience. The issue today, which has actually been quite rare at least in my experience empowers those who want to remain in control regarding maintaining their on premises servers to deflect the future of cloud computing with fear. Now do not get me wrong, I do not like loosing control but in respect to technology either “on premises” or in “the cloud” there will always be service related issues. Once this is accepted cost control as well as quality control should guide any organization regarding where to turn for their services.